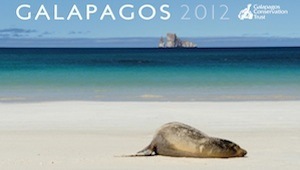 Great news: My “Leon Dormido” becomes the cover for the official 2012 Galapagos Calendar of the Galapagos Conservation Trust GCT. You can purchase it on their website and help the animals of Galapagos. Nananu in St. Lukes shopping mall? Lion + Tiger = Liger?